Blu-ray Discs based on a new format for 3D video will be on show at January's Consumer Electronics Show. Chip-maker Advanced Micro Devices (AMD) said it plans to demonstrate the new Blu-ray 3D standard that is due to arrive on commercial discs in the second half of 2010. 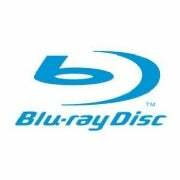 The 3D format is currently being finalized by the Blu-ray Disc Association, the standards group behind Blu-ray of which AMD is a member, as consumer electronics makers race to launch 3D products in 2010. At this year's IFA consumer electronics fair Sony said it would launch 3D compatible TVs in 2010 along with 3D gaming on its PlayStation 3. It also promised 3D-compatible Blu-ray Disc players dependant on finalization of the new format. Other companies including rival-Panasonic are also looking to launch 3D products in 2010. The CES demo will be performed with Cyberlink, which makes the popular Power DVD playback software.